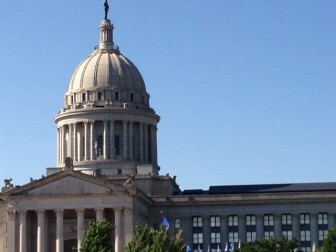 However, it’s too early to say just how much money state lawmakers will have to spend for the 2016 fiscal year, which begins July 1, 2015. “You’re really talking about apples and oranges,” Miller’s spokesman, Tim Allen, said. “The universe we’re looking at is gross revenue. Only around half or a little less actually makes it to the general revenue fund.” Other money is earmarked for certain purposes. Allen said lawmakers wouldn’t really have a good picture of available funds until revenue estimates were completed at the end of the year. Data released by Miller’s office showed personal income tax collections up by almost 7 percent from last August. Sales tax receipts grew by 4.2 percent. Overall, 12-month gross receipts have climbed by $2.5 billion, or 26 percent. Miller said all major revenue categories grew in August, with the tax on oil and natural gas production up by the largest percentage, at 13.8 percent. A spokesman for Preston Doerflinger, state finance secretary, said officials hope next year’s revenue picture is better than last year. Budget officials, John Estus said, remain concerned about corporate tax returns. He said some large corporations could file amended state tax returns that reduce the amount of growth revenue. State Rep. Steve Vaughn, R-Ponca City, says he’s exploring options regarding regulation of oil field disposal wells.